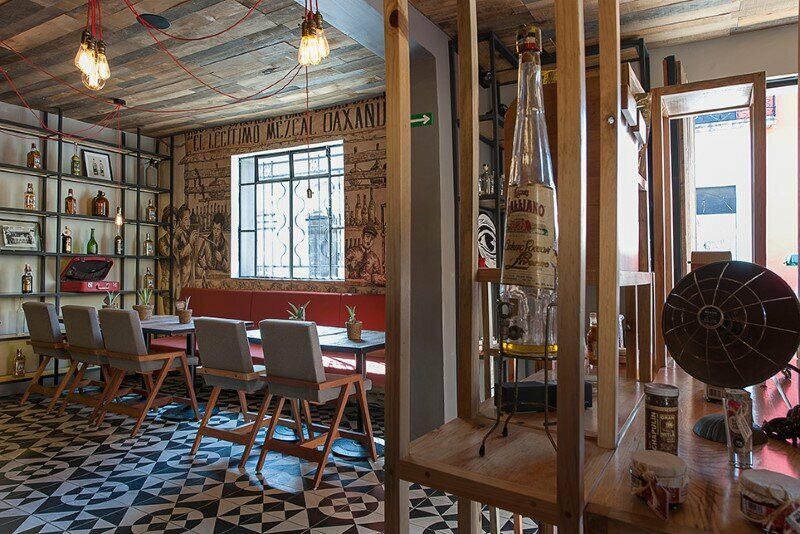 This project occupies an old house in Oaxaca that was transformed into a special site for visitors to enjoy the traditional local spirit, mezcal. 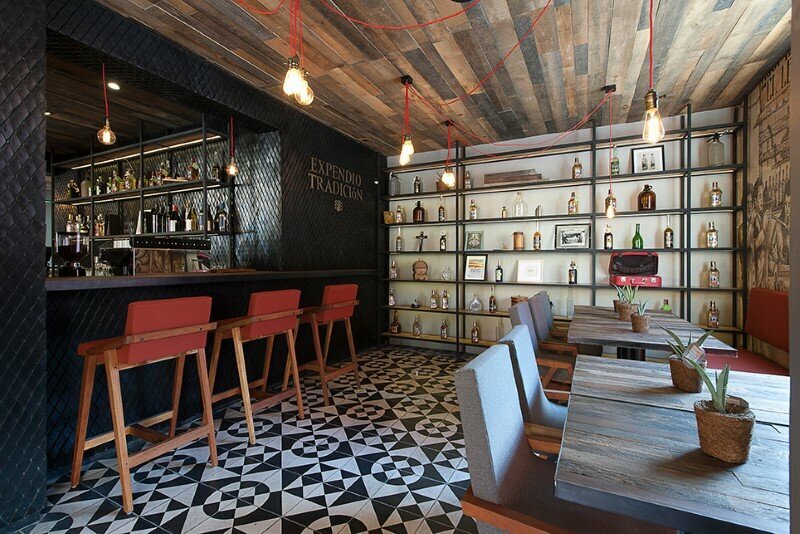 Description by EZEQUIELFARCA: The Expendio Tradición Mezcaleria takes its name from the stores that sold this drink in the past, a concept that the Chagoya family, with its 140 years of tradition producing mezcal, has shared with EZEQUIELFARCA arquitectura y diseño for it to convert the interior into a space where everything is designed around the brand. 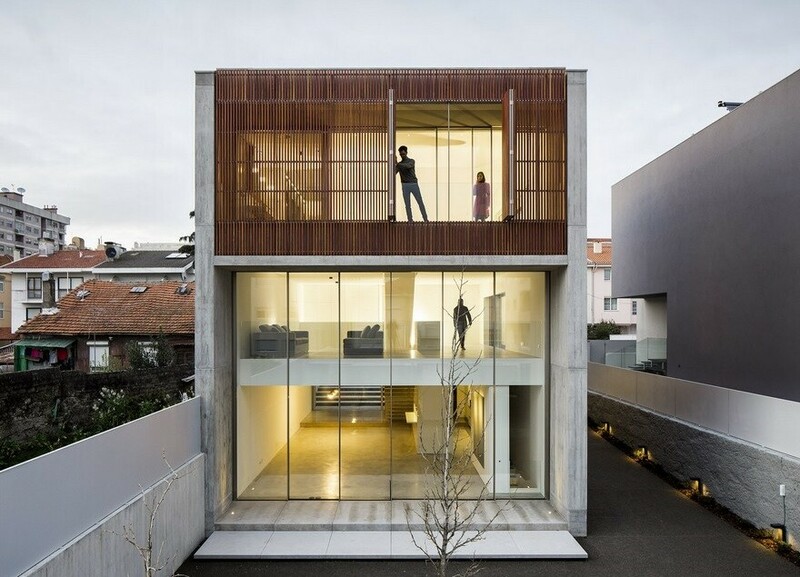 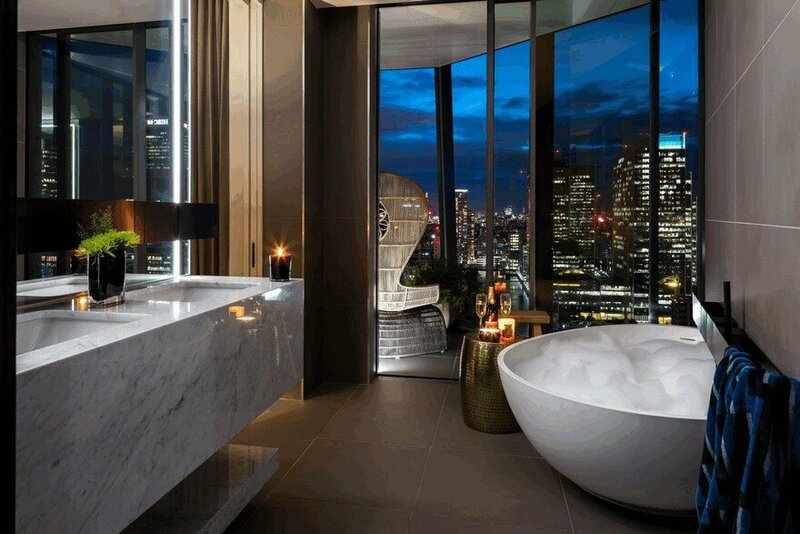 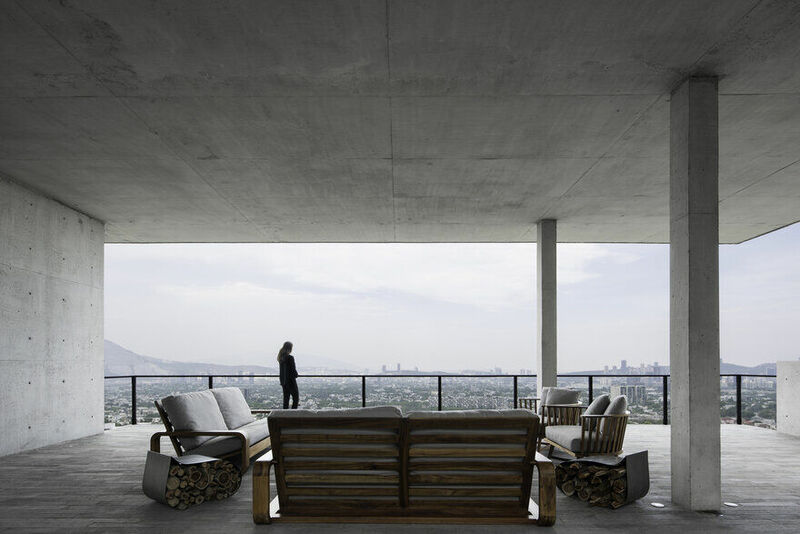 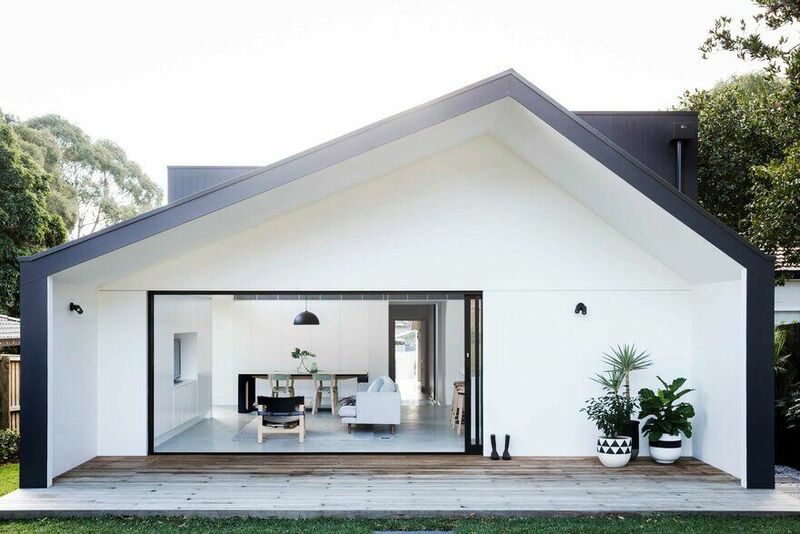 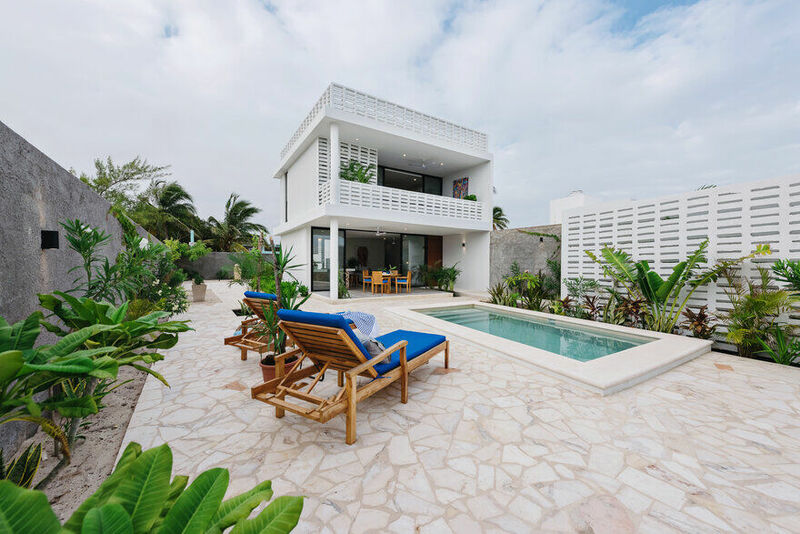 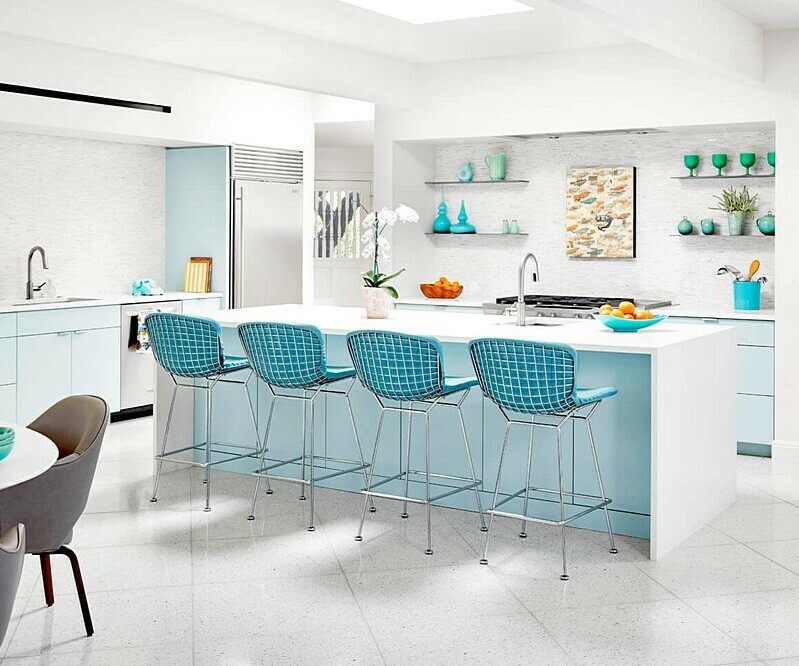 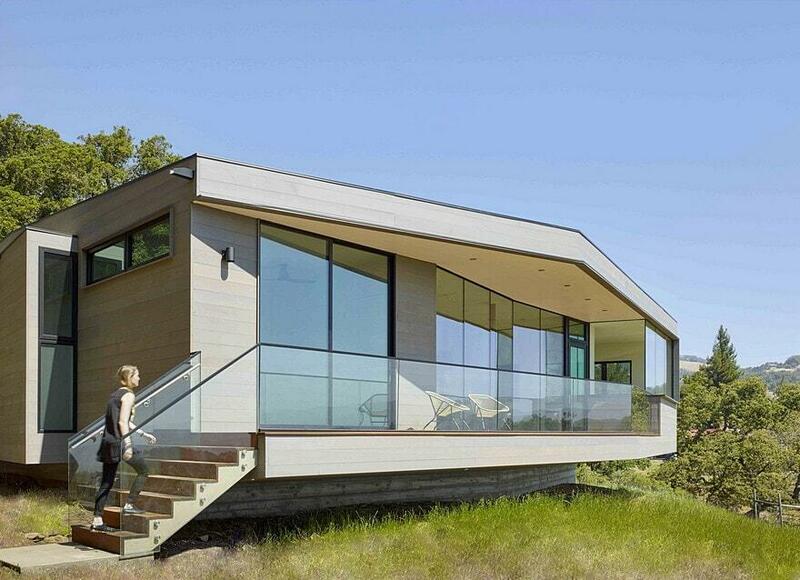 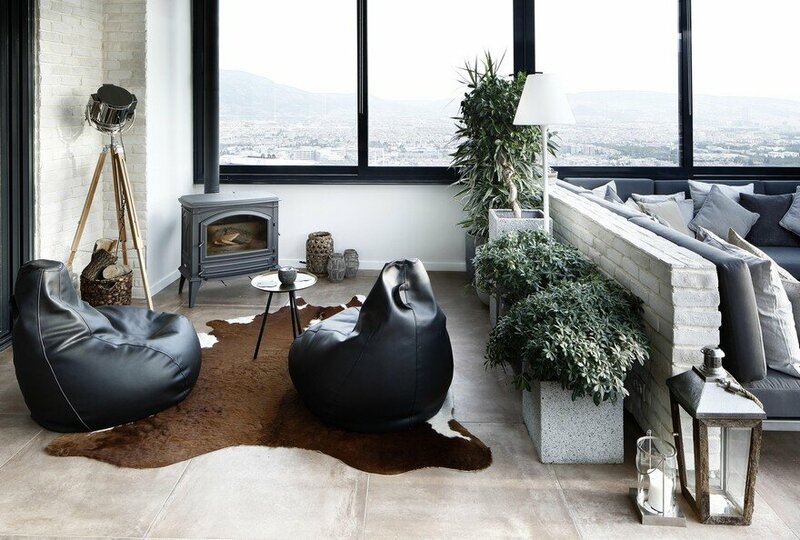 The design concept was to merge the interior spaces to create a single open space, while respecting the original structure of the house and the façade, which was left intact. 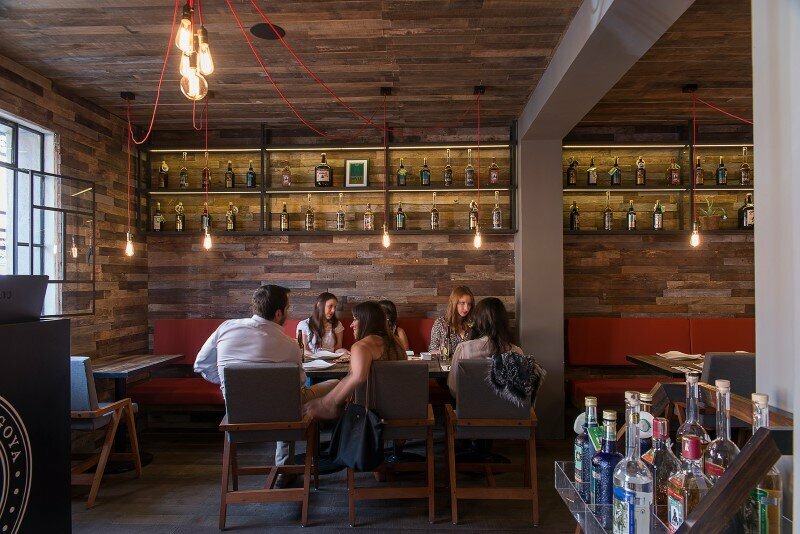 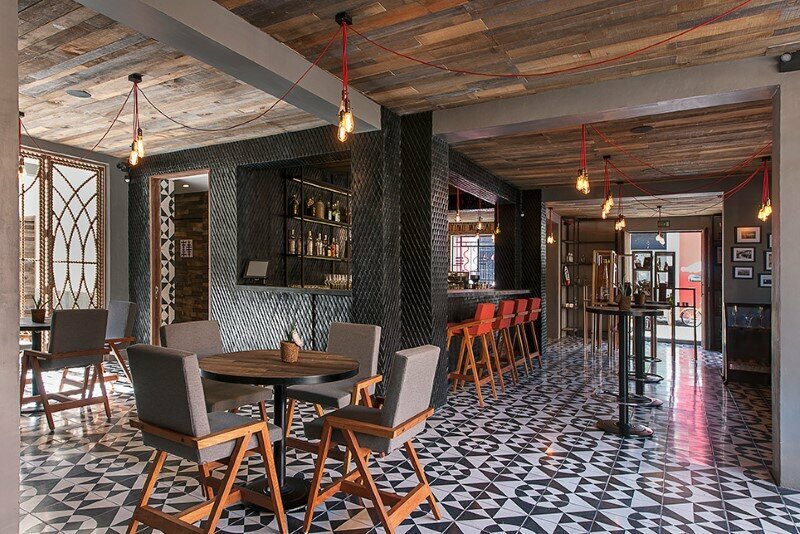 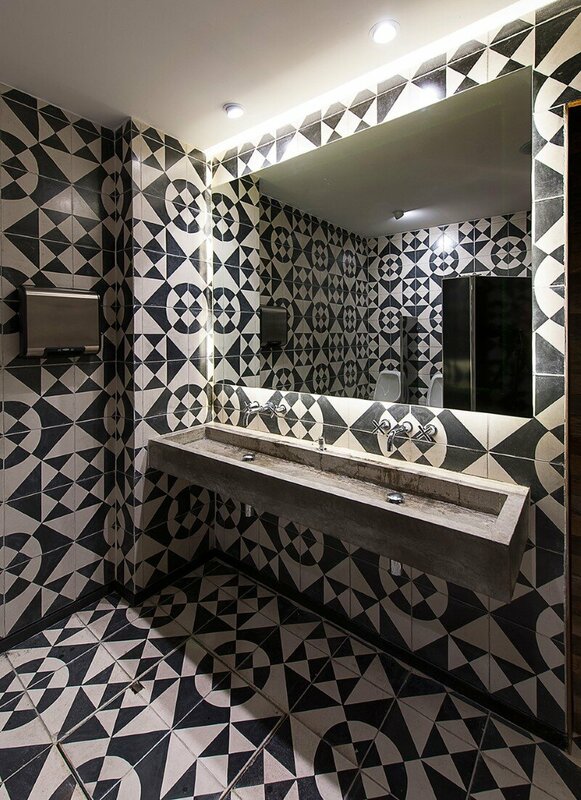 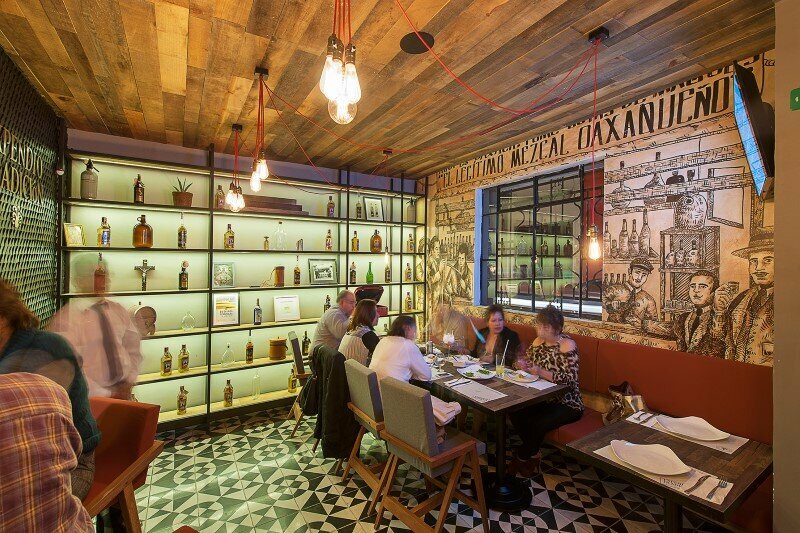 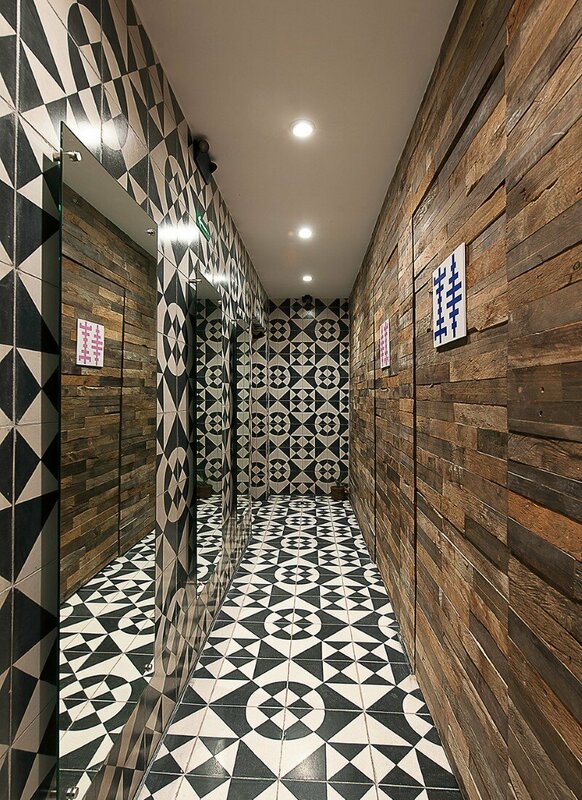 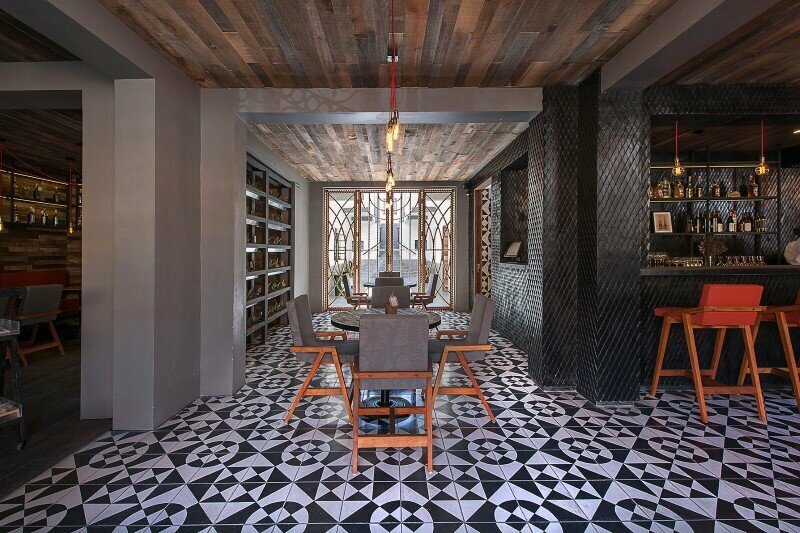 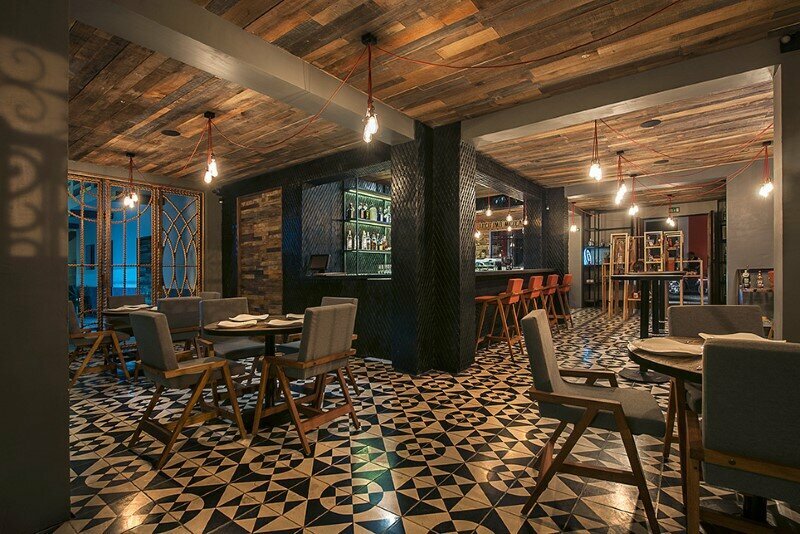 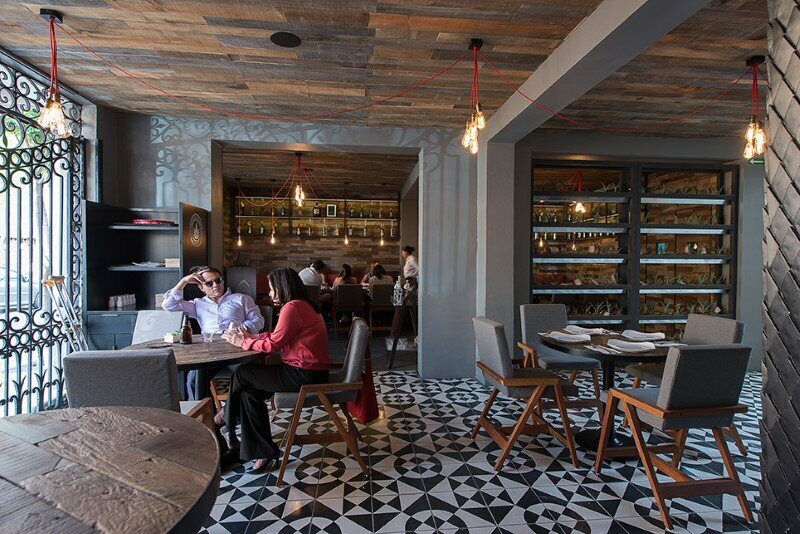 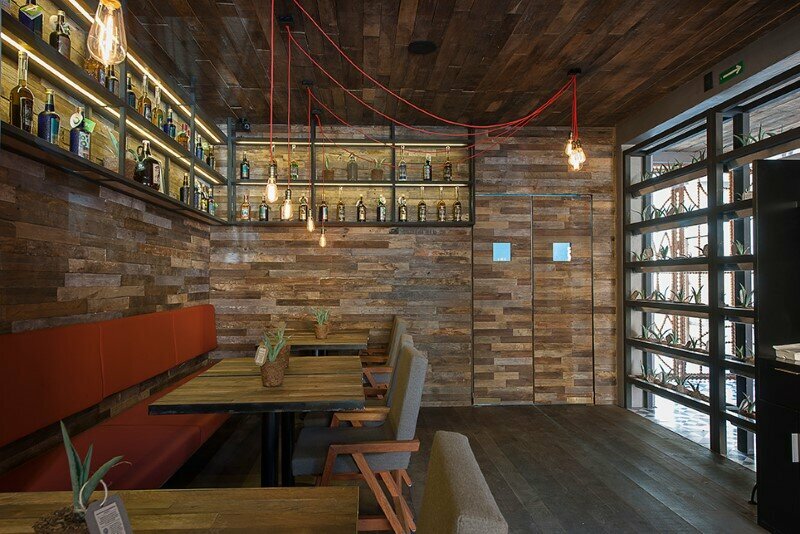 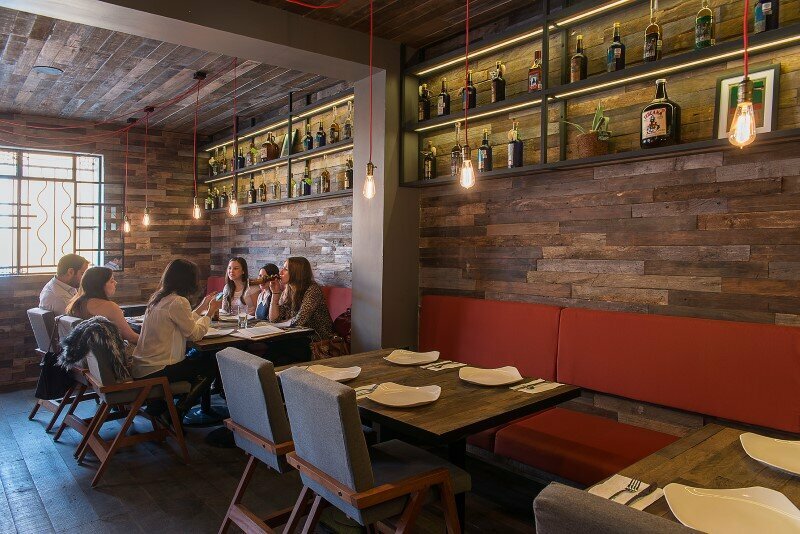 The bar was treated as the principal focal point of the whole space, which was harmonized with the use of materials such as recycled mezcal barrels, traditional black clay tiles, and handmade cement floor tiles, which generated local work and economic sustainability. 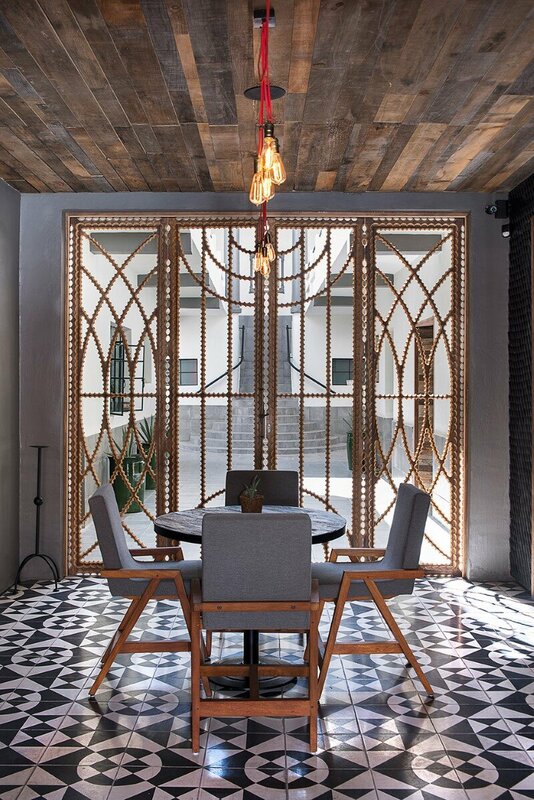 The original metalwork was created by the renowned local artist Francisco Toledo, whose design, as well as providing a regional touch, successfully integrated with all the other materials to make sense of the overall proposal, which was further perfectly complemented by the graphic design by Savvy. 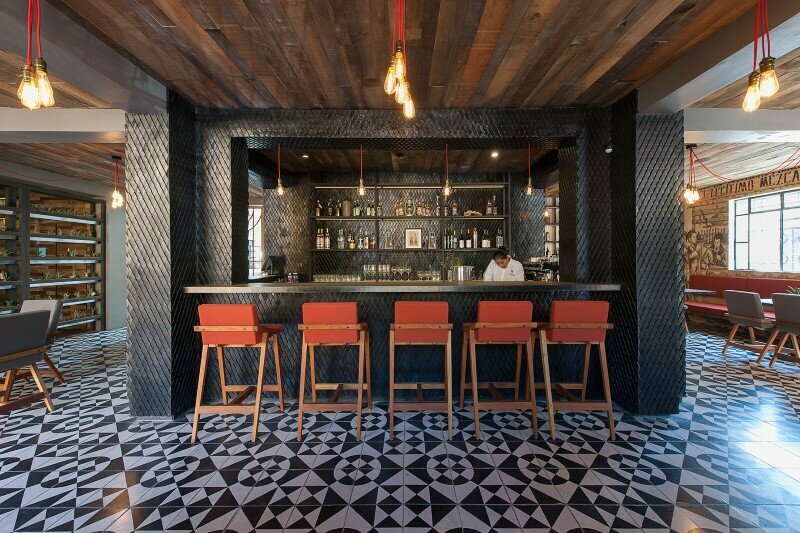 The interior architecture provides space to accommodate a range of activities including presentations of guest mezcals from the region, tastings and sale of local products that are carefully selected to complete the regional essence, such as those made by Vila de Patos, which are organically produced using wholly sustainable processes. 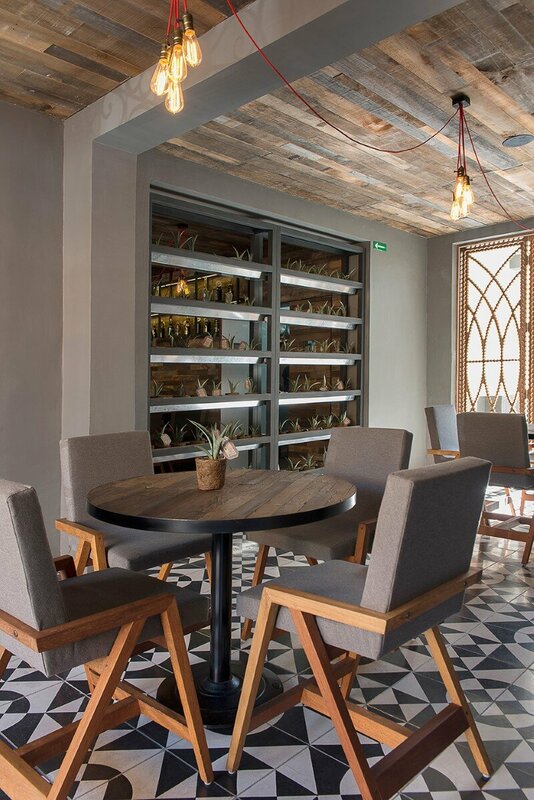 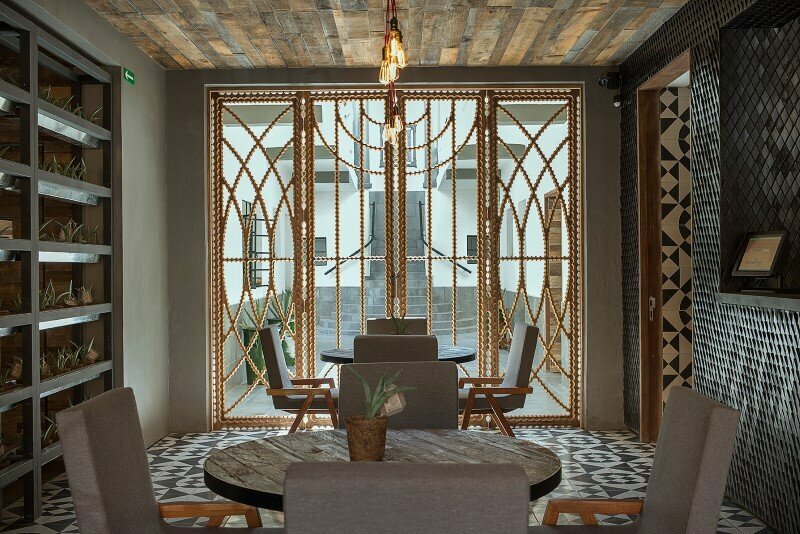 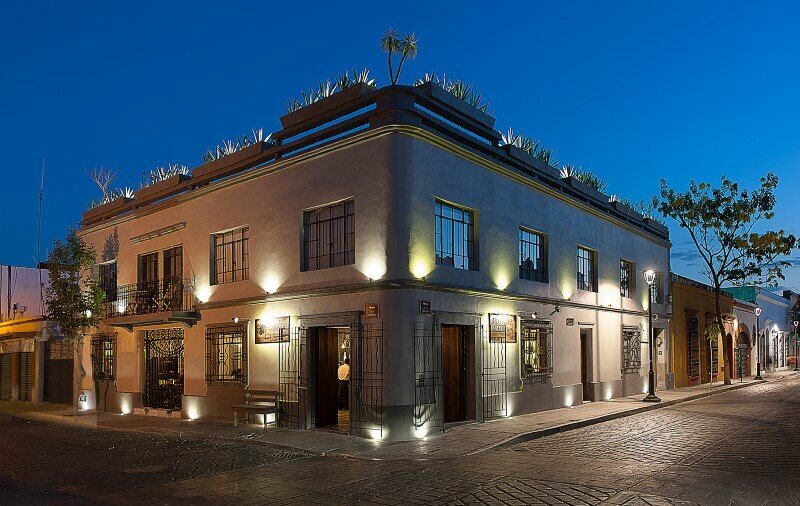 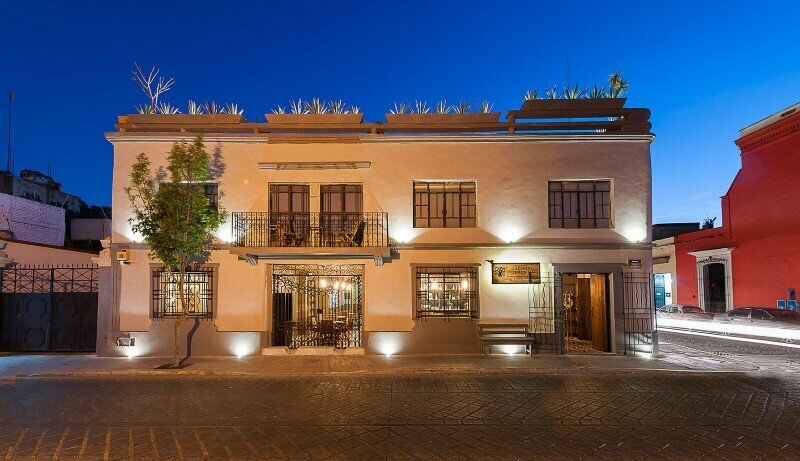 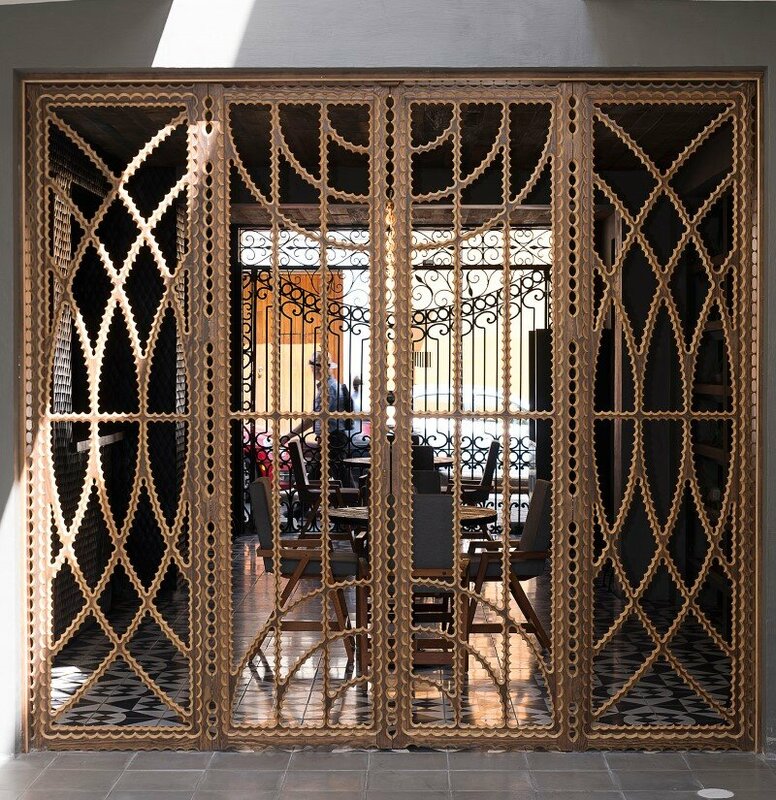 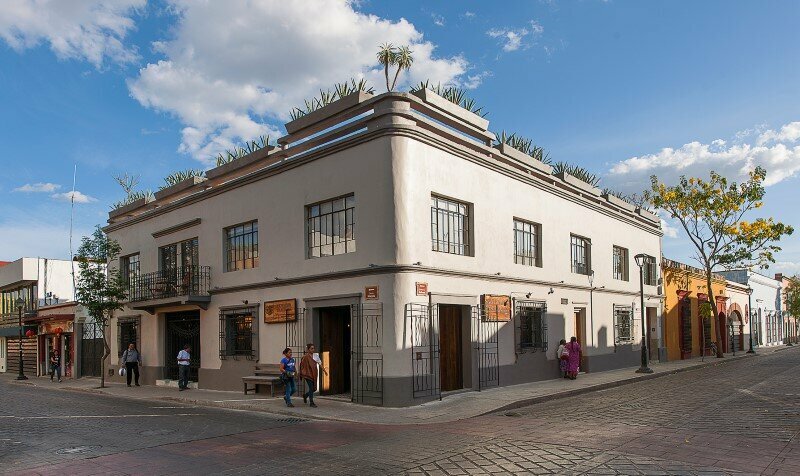 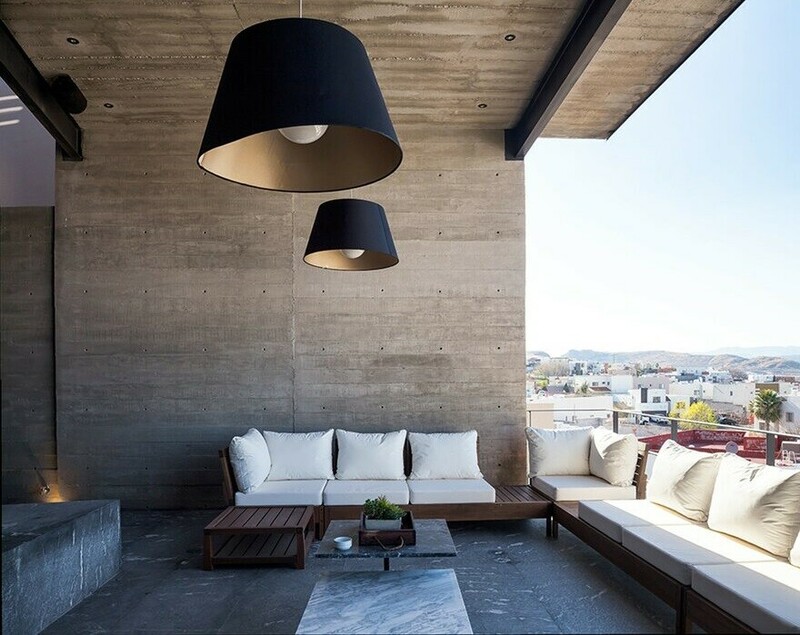 Expendio Tradición reinterprets traditional concepts in order to blend into the contemporary lifestyle of the center of Oaxaca and offer visitors a new experience that brings together mezcal, regional food, design and architecture.